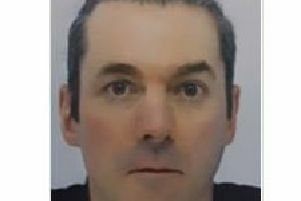 A CONMAN who claimed to be a former soldier working for the Secret Service to cheat a woman scientist out of £220,000 has been jailed for four and a half years. Craig Brown, 41, from West Lothian, spent the money on gambling and a lavish lifestyle. His 41-year-old victim, who cannot be identified for legal reasons, thought she had met “the love of her dreams” when she was swept off her feet by “confident, friendly and hugely likeable” Brown, a court heard. When she realised what he had done she called the police. But Brown pretended to take an overdose in a fake suicide bid, before fleeing to Spain where he spent the next four and a half years avoiding justice. He was finally arrested after he returned to the UK and settled near Edinburgh with a Spanish girlfriend, whom he had also allegedly begun to cheat. Brown, of Wyndford Avenue, Uphall, pleaded guilty at Gloucester crown court to eight offences of fraud and one of theft between April and November 2012. Judge, Recorder Paul Grumbar, said: “In 2011 you met, completely fortuitously, the victim in this case in Brighton and you developed a friendship which led to a love affair. “She has described how she fell under your spell and how you charmed her in almost every respect. “She clearly fell in love with you and you abused that position almost from the word go. “This lady is clearly respectable, intelligent - but she was about 40 years old and single and she thought she had found the love of her dreams. The picture that is painted is of appalling, simply appalling, and cruel abuse of her trust in you. “Her self-esteem destroyed, she has been humiliated. The huge sum of money which was the accumulated efforts of her hard work has been dissipated by you. When it all got too hot to handle you vanished. Prosecutor Tara Wolfe said Brown and the woman met in December 2011. “She was a successful professional woman. He gave her an account of his life in very colourful but fabricated terms. He said he was involved in the Secret Service and suffered from post traumatic stress disorder a result of his work in the army. He lied that he was due to get a £320,000 divorce settlement and would start paying his way when it came through. Brown asked the woman for several short term loans and promptly repaid them - building up her trust for the sting that was to come.